Musical collaborations are a beautiful thing. Not only do they foster a meeting of the minds between bands and artists--often times bringing to fruition something that is greater than the sum of its parts--but they’re also a great way to create a little buzz. And right now Colorado is buzzing about the May 2 Red Rocks co-headline from East Coast jam band favorites Twiddle and Pigeons Playing Ping Pong along with their Montana bluegrass brethren Kitchen Dwellers (Tickets). It’s a fitting bill. All three bands have been playing together for years and their big Red Rocks show--Twiddle’s sophomore headline and Pigeons’ headlining debut--will feature a very special collaborative set planned for Colorado, a place that the bands see as a home away from home. AXS had a chance to chat with Twiddle guitarist Mihali Savoulidis about the bands’ road to Red Rocks, the art of collaboration and why Colorado holds such a special place in their hearts. Savoulidis also revealed plans for Twiddle’s follow up to their 2017 double LP, Plump. 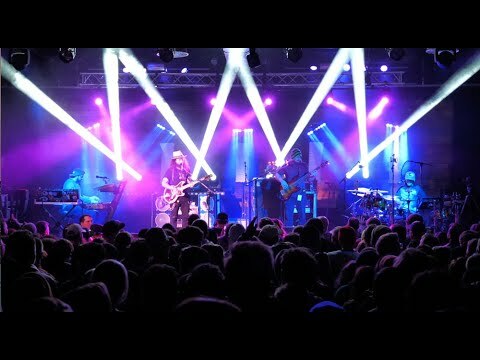 AXS: Twiddle has been out on the road this winter and spring. How’s the tour been so far? Mihali Savoulidis: Tour’s been going great. Lots of new fans. We’ve been playing very well, which is all we can ever hope for. AXS: So the road is leading to your big show at Red Rocks with Pigeons Playing Ping Pong and Kitchen Dwellers. Could you talk about what you guys have planned? MS: Sure, one we’re really stoked to be playing with those guys. They’re two bands that we’ve collaborated with quite a bit in the past. This year there’s going to be lots of collaborations going on throughout the evening but our second set is going to be the ‘TwidGeonDwellers’ set, which will be a mix of Twiddle, Kitchen Dwellers and Pigeons Playing Ping Pong in any various order or lineup throughout that set. We’ll be doing some originals from all the bands and some awesome covers as well. AXS: That is going to be great. There’s a lot of collaborations that go on at Red Rocks but I don’t know if there’s ever been anything quite like that. MS: I’m excited. I think it’s gonna be really awesome, we’ve got a lot of really cool ideas cooking. AXS: You guys put out a playlist (listen below) of different live collaborations between the three bands, how do you go about choosing which songs you team up on? MS: When it comes to covers we all have a discussion and agree on what we want to do. People throw out ideas and we all put our two cents in. But if it’s a Twiddle song or a Pigeons song or a Kitchen Dwellers song, the band will take the lead on what song they wanna do and who they want to play on it. It’s still a discussion, but for the most part, say we were doing one of our songs, I might say I want Greg [Ormont of PPPP] to sing and Jeremy [Schon of PPPP] to play lead on that tune. Then they might say, ‘on this song, we want Ryan [Dempsey of Twiddle] to play keyboards on it only.’ So it’s really however the band wants to do their original tune with whoever they feel will bring the best out of the song. AXS: So you mentioned how the three bands have been collaborating for a while now. Could you give a brief history of how you guys teamed up with each other? MS: Sure, with Pigeons we’ve been doing shows for years and years. Both of our bands sort of started out together. I think that Pigeons had a residency at the 8x10 in Baltimore and I think we opened for them there. That was one of our first out of state shows. So really from the very beginning we’ve been playing together, you know, for like 100 people. So then they opened for us on one of our first Colorado tours, at the Aggie Theatre I believe and maybe another one. So it’s been a lot of shared stages and a lot of growing together with Pigeons. They’re one of the only bands that have sort of been around and touring as long as we have and they’ve been our friends throughout the entire process which has been so cool. And it’s even cooler that now we’re doing Red Rocks together. If you had said that to us way back then, we would have been laughing and shaking our heads (laughs). 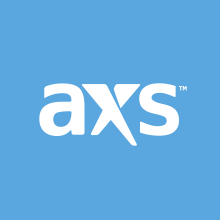 AXS: What about Kitchen Dwellers? MS: Also a really cool story. We got pretty ambitious early in our career and we were touring in Montana. I believe they came to a show, and them and all their friends were like the only people there. I believe this was before they were even the Kitchen Dwellers, the band. I just knew that they played bluegrass and were still in college. There was a house party after the show and we all got invited and went back and those dudes were literally having a picking party in their kitchen. Then a year or so later we found out that they started a band called the Kitchen Dwellers (laughs). When we found that out we had them open for us and we’ve now done a few full tours with the Dwellers. Really close friends and we knew them before they were even a band. AXS: That’s a great story. So Twiddle, Pigeons and Kitchen Dwellers fall under the umbrella term “jam band” and on the surface you guys are rock, funk and bluegrass bands respectively. Part of what makes jam music appealing for so many is that it pulls from seemingly disparate genres and creates something new. What do you think makes these integrations and collaborations so interesting for fans and so enjoyable to you as musicians? MS: Well first of all, I love bills that have a diverse lineup on them. I think for a concertgoer, especially a jam band fan or someone in our scene--we’re sort of a genreless scene--there’s appreciation for all different types of music within any major jam listeners playlist. So I think that to be able to go to a show and get some bluegrass and get some funk and fun out of it, but also get some more serious content out of our music, is important. We have bluegrass songs and we have funk songs and just the same for the Dwellers. Pigeons also have songs that fall into other genres and because of that it makes it a really fun melting pot for collaboration. We all touch on different genres but we also have our strengths, and we can lean on those and accent them with other bands. It makes for a musically interesting, fun and diverse evening. That’s my favorite kind of music to experience. AXS: Switiching gears from the live experience to the studio, you guys released the double LP Plump in 2017. Any plans to get back in the studio soon? MS: Yeah, we’re doing a big writing session in Colorado after Red Rocks. That’s sort of our first big push for the next record, formulating the songs and getting our ideas together. We’ve all been writing for the last year or so, so we have a lot of material to sift through and bring to the table and organize and combine and cutout or whatever..it’s a process. So we’re all gonna get together with no distractions and get to writing and figuring out what the vibe of the next record is. And then we're hoping to get it all recorded sometime in the winter next year, maybe a Januaryish time period and from there move forward. I would anticipate we’ll be releasing singles earlier than the album will come out. So definitely something to look forward to. AXS: You mentioned that Twiddle came out to Colorado and the Rocky Mountain region early in your career, and you have songs that reference Colorado. What makes Colorado so special for you guys? MS: Colorado really does feel like our second home. We even contemplated moving out there early in our career, after our first tours through there. Now it seems like everyone is contemplating moving to Denver (laughs). We love it. It’s like Vermont’s big brother. That’s kind of how it feels to us, everything there is bigger. I think that the music scene in Colorado and the people that live there that go to see live music, I find, are really unlike anywhere else in this entire country. The scene is so rich, and pure and full of support and...love I guess. The love for live music, the love for seeing live music and playing live music, so many of my friends that are musicians that used to live out on the East Coast all moved out there because of what a rich music scene Colorado has in general. It’s maybe one of the only states other than like California where you could legitimately spend a few weeks just touring the state and actually draw every night. It’s crazy. So I think that is our favorite and my favorite thing about Colorado. It was an instant love affair with us. We love Colorado and can’t wait to be back. The wait is almost over. Twiddle, Pigeons Playing Ping Pong and Kitchen Dwellers will be back in Colorado at Red Rocks on May 2. Purchase your (Tickets) here. Also be sure to check out the bands' TwidGeonDwellers playlist embeded below.